The Center for Venture Research estimates that U.S. angel investors invested $24.1 billion in 73, 4000 small businesses in 2014. Many of the investments were in startup or very early stage companies. Yet, less than 1% of all U.S. private equity is invested in black owned businesses. What's more, minorities account for less than 5% of the angel population, providing startup and early stage capital to companies. 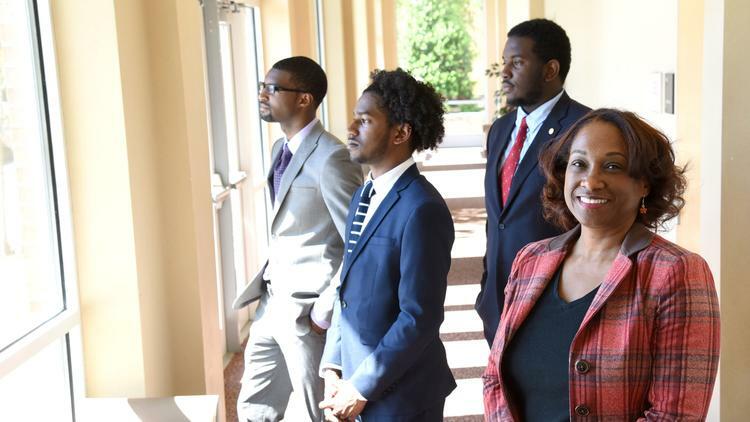 One historically black college is looking to change that dynamic. Morehouse College through its Entrepreneurship Center has launched the nation's first Certificate in Investing In Startups & Early Stage Companies (Angel Investing) offered at a Historically Black College and University (HBCU). The certification program is in partnership with Opportunity HUB, an Atlanta based multi-campus co-working space, pre-accelerator, and incubator. The program will cover a broad range of topics on how to begin investing as an angel investor or "micro-angel" and or make wiser choices in angel investing. Skills acquired from the program will teach investors how to identify potential investment opportunities and how to properly execute an investment in a startup or early stage company. In the U.S. there are more than 7 million accredited angel investors or individuals who earn $200,000 or more each year or whose net worth (not including their home) exceeds $1 million. According to Washington Post analysis of data from the Federal Reserve 2013 Survey of Consumer Finances, there are at least 400,000 black Americans worth more than $1 million dollars and 12,000,000 black Americans with a net-worth between 50,000 and $1 million. "Angel investing is the pioneering final frontier for black Americans and people of color in business and corporate America to embrace and engage. It is our responsibility to pay it forward by investing in the next generation of innovative, high growth startups, particularly in technology - the industrial revolution of our age," says Rodney Sampson, Founder & CEO, Opportunity Hub. The Certificate program consists of nine cohorts. Instructors teaching the courses will be experienced angel investors, serial entrepreneurs, securities attorneys, and financial professionals. Instructors and mentors include Venture Capitalist KP Reddy (General Partner, CTW Venture Partners); Business Appraiser and Entrepreneurship Advocate Michael Blake (Founder, Startup Lounge); Social Impact Investor, Jeffrey Cherry (Founder, Conscious Venture Labs); Consumer Products Investor, Brandon Rickman (Founder, First Mondays Angel Group); and Morehouse Alumnus, Entrepreneur and Investor, Paul Judge (Founder, Judge Ventures). This new angel investing certificate program, particularly as it aims to connect new investors to the mainstream investment community and pipeline that is developing between Atlanta, Silicon Valley and beyond, adds Sampson. It designed for individuals who are interested in learning more about making investments in private companies. It provides benefits for those who qualify as an accredited investor, according to SEC guidelines. On a case-by-case basis, non-accredited investors will be admitted to the certificate program. Tuition to the certificate program is $15,000.00 US. Of this amount, $10,000 will be allocated toward the program practicum in which the participating students in each cohort will combine their monies to make investments in three startup and early stage companies in exchange for a negotiated equity stake. Opportunity Hub, Morehouse College and its partnering startup ecosystem partners will pipeline, vet and select the companies to pitch the new angels. "This program is important for as we continue to foster our entrepreneurial ecosystems on and off campus. Access to capital is pivotal and cultivating capital through this workshop is an essential node of the ecosystem," says Tiffany Bussey, Director, Morehouse College Entrepreneurship Center. Morehouse College and Opportunity Hub believe that that mew program will be a tremendous asset to the Atlanta startup ecosystem, Atlanta University Center (Morehouse College, Spelman College, Clark College, ITC) and interconnected community. The Morehouse College Entrepreneurship Center (MCEC) is committed to a policy of total quality in all business procedures. while maintaining the integrity of the center. The MCEC is committed to continually improve the Quality Management System.